DON’T LET BATH BOMB MAKING SCARE YOU, LIKE IT DID ME FOR SO LONG! 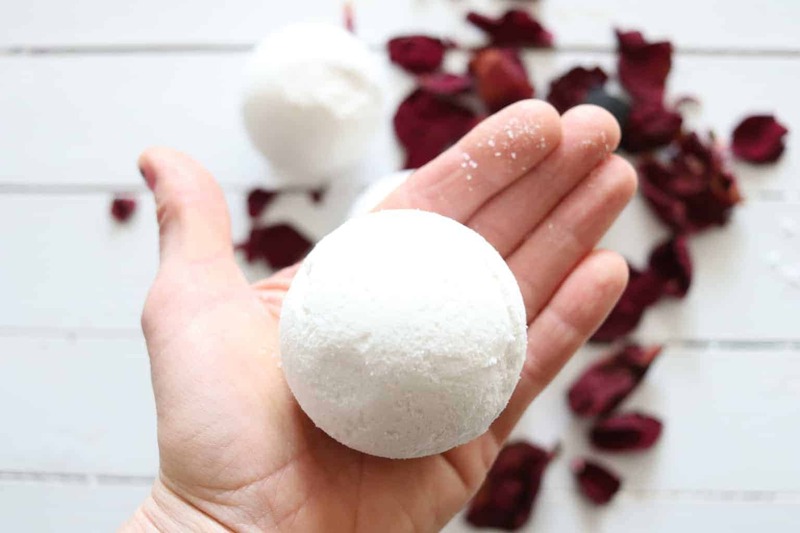 WITH THIS SIMPLE BATH BOMB RECIPE YOU WILL BE ABLE TO WHIP UP A BATCH WITH LITTLE EFFORT. I saw bath bombs at farmer markets and at booths at the fair, and I even bought a bunch. I love a nice relaxing bath with a bath bomb and my kids even love them more. They get really excited to watch them fizz and take turns holding it in their hands to feel the bubbles. I had no desire to make them. It just looked hard to me! One of my friends is a “bath bomb expert” and ensured me that it was easy. So I ordered the stuff and decided to give it a try. Yup, she was right! Nothing to it and it was fun. And now I can customize them for how I want them to smell and look! If you have ever felt bath bomb making would be tough, keep reading and follow along with this simple tutorial. 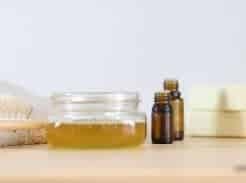 Ready to get toxins out of your home? 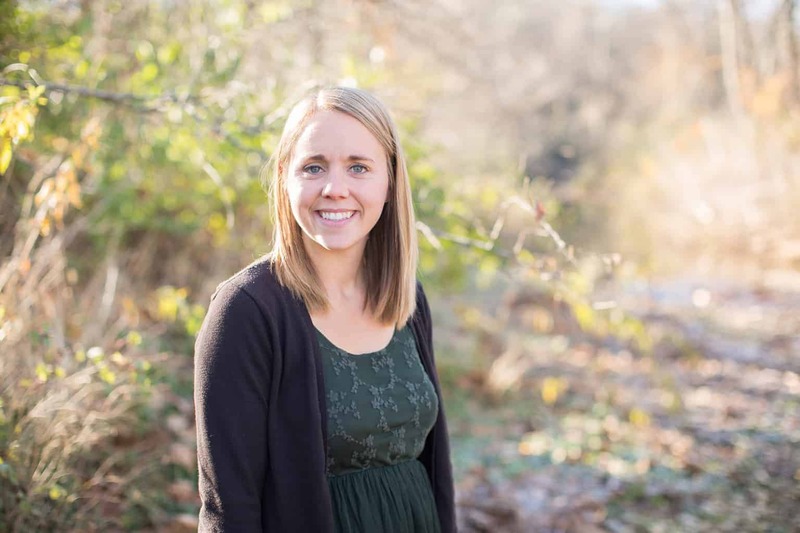 Grab my FREE ebook with my favorite DIY all natural products here. Mix all the dry ingredients together in a medium size bowl. Stir until well incorporated. Add in the coconut oil, essential oils, and vanilla. Whisk together until well combined. With a spray bottle spray the mixture with water until the ingredients hold together when squeezed in your hands. Only do one spray at a time to make sure you don’t get it to wet. 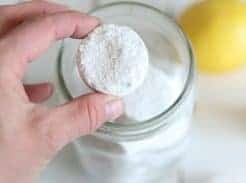 Prepare your bath bomb molds by greasing them with coconut oil. I use these molds but you can also you a plastic easter egg or Christmas ornament. Press the mixture into both sides of the bath bomb molds and then press the two sides together. Rub the access mixture off the sides and set aside. Allow the molds to sit for 24-48 hours or until completely dry and then pop out of the molds. 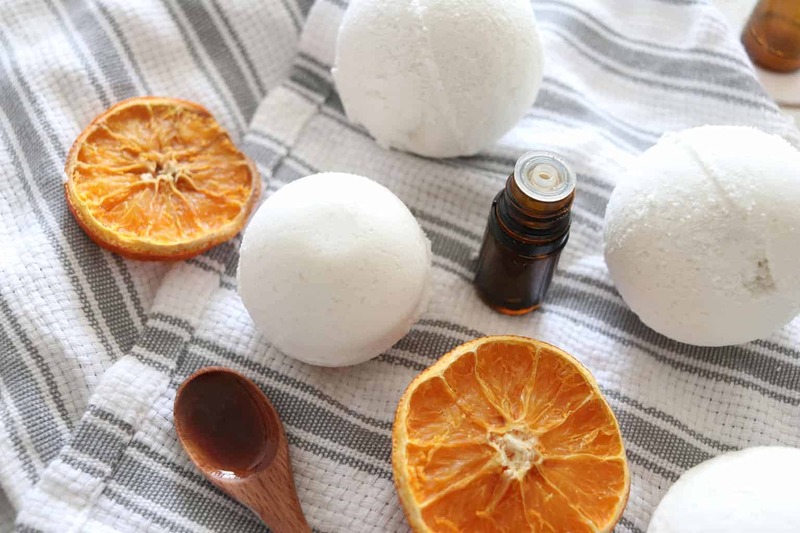 Essential oils are what make these bath bombs, the bomb! 😉 As they fizzle into the water the essential oils are released. It makes for the ultimate relaxing night and can provide you with many benefits. As the essential oils go into the water they will soak into your skin and enter into the bloodstream. You can make up different blends or just add in one oil, I will share with you a few of my favorites! This one is my kids favorite! Make sure to use the vanilla that the recipe calls for and add in 15-20 drops of wild orange essential oil. It smells like an orange dreamsicle! Get extra fancy and add a couple teaspoons of orange zest to the dry ingredients to add color and texture. Wild orange essential oil is a very uplifting oil that can help promote a positive mood. It is also a great oil to use for immune support. 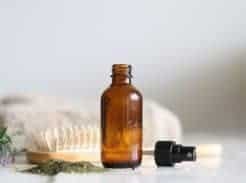 These essential oils are all very calming and can promote feelings of relaxation. I love the scent and it works great to use in a bath before going to bed. If you are dealing with any type of respiratory issues, this is the blend for you! I like to keep these on hand for when we need them; no one wants to be making bath bombs when they aren’t feeling their best. Add this bomb to a warm bath and breathe in for instant relief. I love making a beautiful blend of floral essential oils for just about everything. Floral blend room sprays, diffuser blends, and now bath bombs. Nothing smells better or is more relaxing than the smell of flowers, well at least in my opinion. 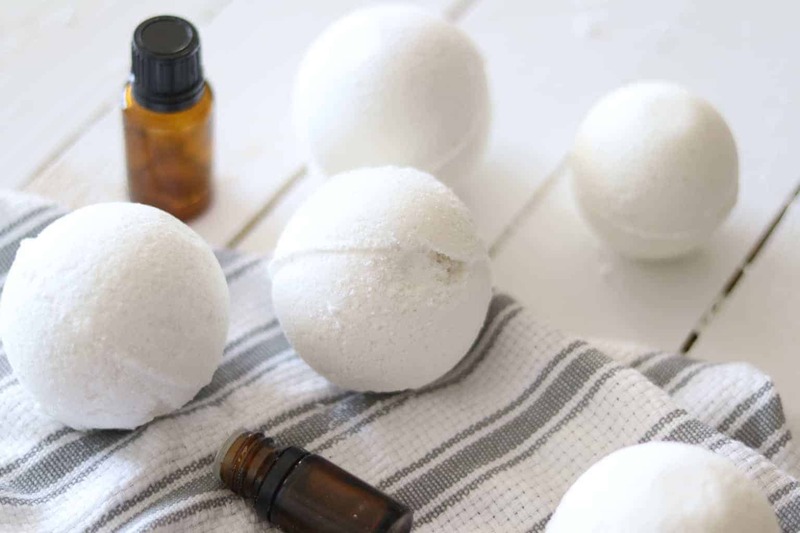 Add 5 drops each of lavender, geranium, jasmine, and rose to your bath bombs. This one smells amazing with the added vanilla and you can add in dried rose petals for an extra cool look. I have done the added rose petals but beware that it isn’t the best for after the bath is over and requires a little cleaning. Blending lavender and wild orange is another favorite for my kids and for me too! I love the smell of the two of these together and they are both great for mood support. Even though wild orange is known as an energizing oil most kids respond really well to wild orange and lavender mixed as a calming blend. If you find that to be true with your kids you could try this bath bomb before bed. 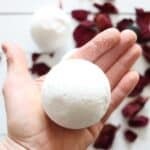 Have you ever made bath bombs before? If so, did you use essential oils? What blends did you use? Share with us in the comments below. With a spray bottle spray the mixture with water until the ingredients hold together when squeezed in your hands. Only do one spray at a time to make sure you don't get it to wet. Prepare your bath bomb molds by greasing them with coconut oil.